Joins the program as a graduate transfer coming off an outstanding year at William & Mary…a three-time All-Colonial Athletic Association selection in cross country and the 2017 CAA 1500-meter champion…should provide instant help at the top of the cross country lineup…also has indoor and outdoor track & field eligibility remaining. Cross Country: Earned three top-three finishes in his first four meets with the Seminoles, landing one ACC Performer of the Week honor…was second in debut at Covered Bridge Invitational and followed with third-place finishes at the Virginia Tech Alumni and FSU Invitationals…earned All-ACC honors with 21st-place finish at the conference championship meet in Louisville with an 8k PB of 24:02.1…followed by earning All-South Region honors where he was 17th. Indoor: did not compete. 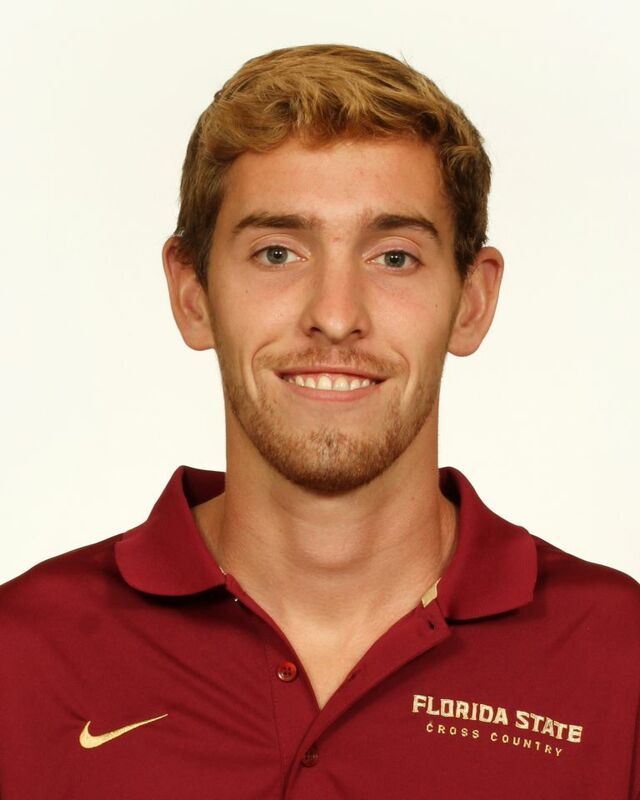 Outdoor: Opened with season-best 5000 (14:17.45) at the Stanford Invitational…at Auburn’s Tiger Track Classic, narrowly missed a 1500 PB when he ran 3:46.27 for fifth…qualified eighth for the 1500 final at the ACC Championships, where placed 11th. A three-time all Colonial Athletic Association performer in cross country at William & Mary, highlighted by a career-best third-place finish in 2016…Tribe has won 17 consecutive conference cross country titles…won the CAA 1500m title in PB 3:46.09 this past spring, qualifying for the NCAA East Preliminary…also finished fifth in 5000 at CAA meet…earned All-East honors in the 5000 at the 2017 IC4A meet…four-time All-CAA performer outdoors and four-time All-East honoree (DMR, 3000, 5000, 1500)…injuries limited him to two full years at W&M……earned his undergrad degree in biology…fixture on the CAA Commissioner’s Award List (GPA over 3.2). Attended E.C. Glass High in Lynchburg, Va., helping team to AA state indoor and outdoor state titles as a senior…multi-time All-State selection between the 800, 1000 and 4×800 relay…won six regional titles in his career…won a Seminole District cross country title and was named district athlete of the year…outstanding student who was selected to the district all-academic team all four years…vice president of his National Honor Society chapter…active in school’s theater program…selected to Virginia Boys State…son of David and Susan Barney…father ran cross country and track at Virginia.